With huge advances in printing technology we’ve put together a great guide to help you, whether you're looking to replace an older model or thinking about buying your first home printer, there are so many innovative and timesaving features available on modern printers. 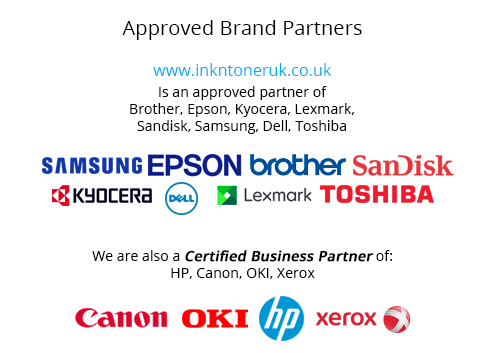 Ink N Toner UK have produced this guide, to help you learn more about the most important things to consider when buying a printer and to help you find the best printer for your requirements. Inkjet printers are perfect for the home user; great for printing school work, tickets, photos, documents, projects and letters. Inkjet printers tend to produce higher quality photographs than laser printers. If you like photography or are maybe looking to create some photo albums, a good quality inkjet printer makes the most of photos from DSLR and phone cameras. Laser printers are designed for regular use and are able to cut printing times in offices and homes that regularly print significant amounts. 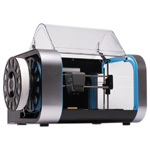 A great choice for text documents and high-speed batch printing. Toners do cost more than inkjet cartridges, but you will get more prints before they need replacing (usually over 1400 pages but this varies greatly from machine to machine). The initial cost price of a laser printer can seem higher, but over time, the cost-per-page works out cheaper than inkjet printing. An all-in-one printer is the combination of a scanner, copier and printer in one convenient device. 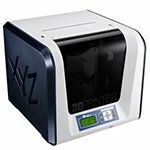 They're available in both inkjet and laser varieties, offering the benefit from the reduced footprint, and the convenience of having a three in one printer. Some all-in-ones have an integrated fax machine as well, which is extremely useful and the ideal printing solution for small or home offices, although of course faxing is very much becoming a thing of the past! 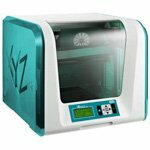 3D printers have recently become much more accessible and offer a dynamic and innovative entry into prototyping and small-scale manufacturing. Whatever you design, you can create. This is great if you want to test-fit parts, before expensive machining or maybe you want to design a custom phone case, or anything else that takes your fancy. 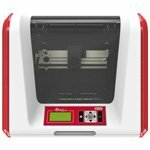 A 3D printer makes once complex manufacturing easy and accessible. 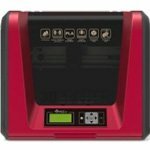 Which Type of Printer Should I Choose? 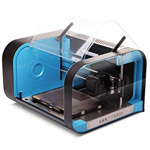 Different types of printers are available for different needs and uses. Whether you're a student, business user, or a family, there will a printer that will suit you. 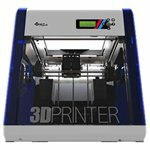 I Print at Home, Which Printer Should I Buy? If you occasionally print documents and photos, an inkjet printer is the ideal choice, as the initial cost is lower than a laser or photo printer. While you may not get as many pages before the ink needs replacing, you won’t be paying for ink, performance and features that you don't need. If you don’t need to print in colour, there are monochrome laser printers, designed just for text documents, which would prove to be of outstanding value. I am a Business User so Which Printer is Right For me? 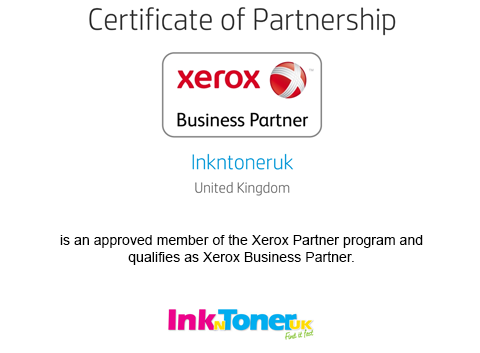 There are a wide range of business printers in both inkjet and laser varieties. When you're choosing an office printer, make sure that the print speed is fast enough. Automatic document feeders (ADF) are an invaluable feature for busy offices, allowing you to scan and copy more than one document at a time, saving time and enabling you to get on with something else! If you plan on printing regularly then it’s a good idea to check the monthly duty cycle, as this will give you a guide on the maximum number of monthly prints that the manufacturer suggests the machine is capable of whilst ensuring that you are not overusing the machine. I’m Looking to Print Professional Quality Photos, Which Printer Should I Buy? Photo printers are designed specifically for printing images, giving higher quality photos than other printers – perfect for family albums or framing. These printers use individual inks for each colour, ensuring a natural colour reproduction, guaranteeing your images will appear as clear as when you get them printed at a photo lab. Wireless connectivity is a great innovation as it allows you to print from a computer, tablet or smartphone without the need to plug your device in. You can print from any room in your home, which is great for families, enabling everyone to use the printer quickly and easily. How Can I Print From my Android Device? Google Cloud Print allows you to print from any Android or Windows device. You can print from smartphones, tablets and computers without the need to download additional software or drivers. You can send documents or photos to print from wherever you are as you do not have to be near your printer at all. How Can I Print From my IOS Device? AirPrint is exclusive to Apple devices and allows you to print directly from your iPhone, iPad, Mac or iPod Touch. Just tap the button on your device to print wirelessly. The cost of cartridges is an important consideration when choosing a printer. A cheaper printer requires more expensive cartridges and vice-versa. In effect, the more you spend on a printer the better value the cartridges will be so your most important consideration is “how much can I spend on a printer” not “how little can I spend on a printer”. Printers with an enabled HP Instant Ink subscription automatically orders new ink when the cartridges are running low, which are then delivered to you. This service is available on many HP printers. All you need to do is enrol on a fixed monthly plan, which determines how many pages you can print per month. 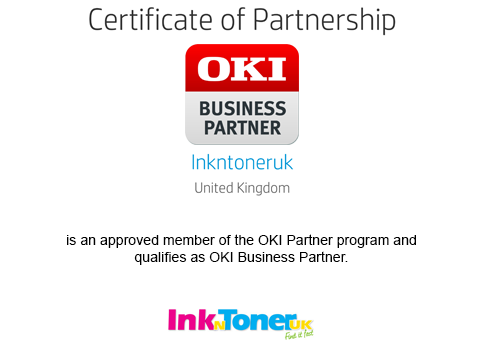 Ink is automatically posted to your address whenever it's required, with the monthly payment inclusive of postage and recycling. Instant Ink can potentially help you save money, but be careful because once you are enrolled in the service you have effectively lost control of when and when not to order cartridges. You may also dislike the idea of the regular monthly direct debit. What Are Ink Tank Printers? Ink tank printers feature unique ink tanks that can be refilled and topped-up as necessary, using cost-effective bottles of ink. The bottles provide many thousands of prints each and can help you to reduce printing costs by up to 65% - ideal for offices and busy homes. 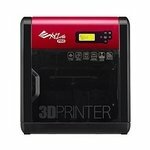 However, the initial cost of these printers is higher. Inkject Printers or Laser Printers, What’s The Difference? 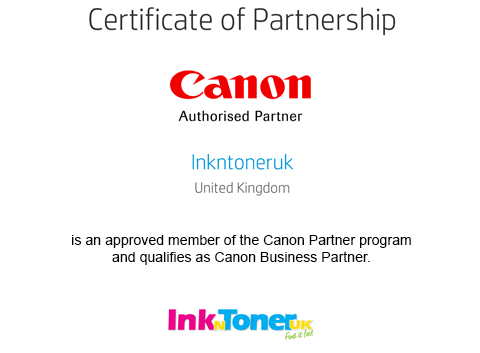 Inkjet printers use ink cartridges. These are usually cheaper to replace than laser toner, however the page yields are lower. If you don’t print a lot, or you mainly print photographs or high colour images, an inkjet printer will provide high quality prints without excessive costs when new cartridges are required. While laser toner cartridges are more expensive than those of an inkjet printer, usually provide a greater page yield along with faster print speeds. If you are regularly printing in large quantities, a laser or office spec inkjet printer is one to consider. Block Cartridge or Individual Cartridge, What’s The Difference? Inkjet printers either have individual inks or block inks. Printers with individual inks have an individual cartridge for each colour - typically single cartridges for black, cyan, magenta and yellow. These are perfect, if you often print photos or documents with single colour, giving you the flexibility to replace the most used colours when you need to. Some of the higher price point photo printers also have additional cartridges for grey, or photo-specific blacks, which deliver more natural colours with deeper contrast. Block ink combines the three main colours into a single unit. They tend to be cheaper than buying each ink separately, so a printer with block inks is the right choice if you don't print regularly. You can buy ink separately or as a combination pack. 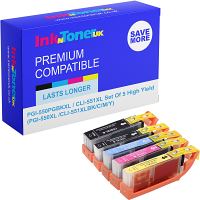 This pack includes all the cartridges needed for a full top up, and combination ink sets will cost less than buying ink separately, ultimately saving money and time. Extra-large ink or toner cartridges offer even better value for money, and a higher page yield (more pages from a single cartridge), which reduces the cost to print each page. The approximate page yield can be a good guideline for determining general usage allowance, but it’s important to be aware that page yield can vary, depending on the types of pages you choose to print. Printing high definition photos will use more ink than text documents. Page yields are always quoted based on a 5% coverage and Cost Per Page. This figure is based on the original manufacturer’s estimates of how many pages a cartridge prints and is for comparison purposes only. It is derived from the international ISO standard for printing (ISO/IEC 24711 and 24712). For the vast majority of cartridges this means a 5% coverage printed onto plain A4 paper. Wireless printers connect to your PC or Mac using your home Wi-Fi network and can be accessed from anywhere in your home or office. Several computers and mobile devices can use the same printer, which can be placed in the most convenient location for you in your home or office. If you want to print from a tablet or smartphone, you will need a printer that features AirPrint, Google Cloud Print or email printing. See below for more information. Wi-Fi Direct provides a wireless connection between a printer and device, even if no Wi-Fi signal is present - perfect for homes and offices without a wireless network or in an office as a backup if the network fails. Apple AirPrint allows you to print directly from Apple iOS products and is built in to iPhones from the 3GS model and up, 3rd generation iPods onwards and all iPads. Look for Apple AirPrint as a highlighted feature of a printer to ensure you can print from your favourite Apple device. Google Cloud Print is included on all Android devices and allows you to print wirelessly from your tablet or smartphone. Create or log into a Gmail/Google account to get started. Look for Cloud Print as a highlighted feature to ensure you’ll be able to print from your Android device. Near Field Communication (NFC) is a new feature to printers. Often included on tablets and smartphones, it allows two devices to connect simply by touching together, enabling you to sync a printer with another NFC device. Look for NFC as a highlighted feature on wireless printers. Email printing is a feature available on selected printers, offering wireless printing from any email capable device. Each printer has a unique, customisable email address and once connected to your Wi-Fi, prints any images or text documents it receives. Most printer manufacturers have their own version of email printing. Look out for ‘email printing’ as a highlighted feature. DPI stands for Dots Per Inch and is the basic measure of print quality. A printer with a higher DPI delivers clear, detailed pictures although other factors such as ink/toner play a part in overall print quality. If you’re looking to print high quality photographs, a good quality inkjet printer provides enhanced colour reproduction and the glossy, developed-photo style that achieves a professional looking printed image. Print speed is almost always measured in pages per minute (PPM) for text and images per minute (IPM) for photographs. Always consider print speed if you regularly print in large quantities. Monochrome printers print black and white documents only. Monochrome laser printers feature higher print speeds over everyday inkjet printers. The most commonly printed page size is A4 and the vast majority of printers print in this format. Many printers can print to smaller paper sizes, so if you are looking to print 6 x 4 developed-photos or specialist envelope sizes, most printers accept a wide range of photo and document paper. For larger prints look for A3 printers that print in various sizes up to A3. Some are no bigger than A4 printers, making them a great choice for small offices or homes where space is at a premium. Double sided printing or automatic / manual duplex printing is a clever feature, giving you the option to automatically or manually print on both sides of the paper. An Automatic Document Feeder (ADF) allows you to scan or copy multiple documents simultaneously without having to manually insert individual pages. They can be found on scanners and all-in-one printers and are usually located on top of the scanner or within the main paper tray. Many printers feature a memory card slot. This makes is possible to print directly from an SD or memory card without having to connect to a PC. Insert the memory card and use the printer’s screen to select the documents you want to print. PictBridge makes printing from your digital camera easy. Just connect your camera via USB cable to print photos directly, without having to remove your SD card or connect to a computer. OCR stands for Optical Character Recognition, and is a feature found on some scanners and all-in-one printers. OCR allows a scanned document to be converted into a word processing document, that can then be edited on a PC or tablet. This usually only applies to printed text documents, but some models feature handwriting recognition as well.